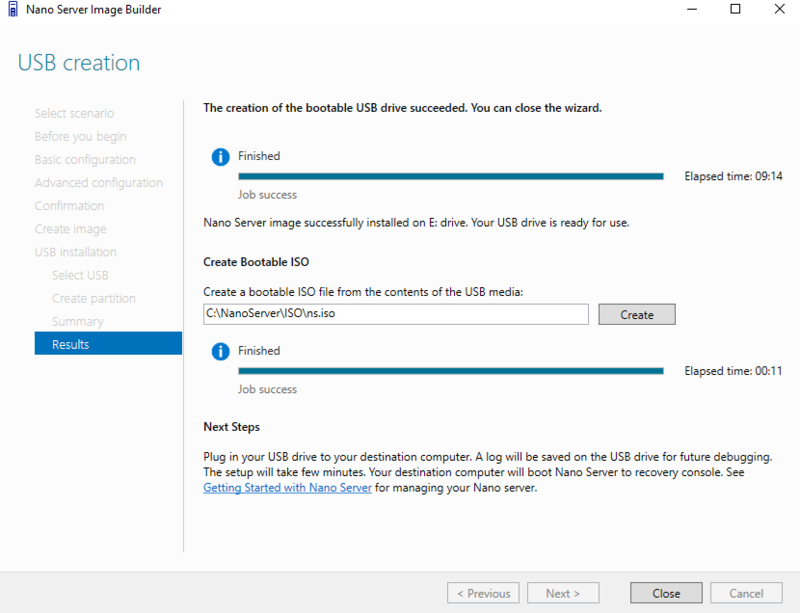 Microsoft announced and presented at Ignite Conference the Nano Server Image Builder tool which helps you create a Nano Server image and a bootable USB media. 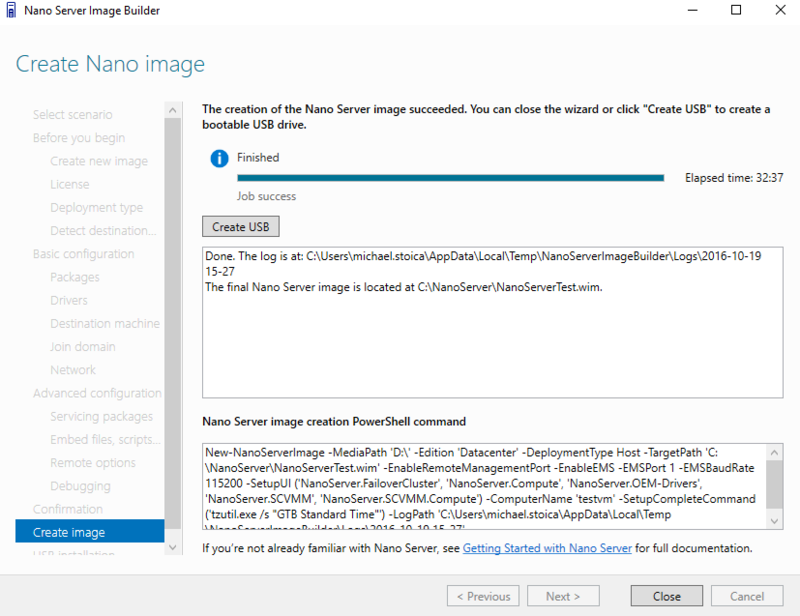 The tool was released last week, so now we have two options for creating a Nano Server image, powershell and Image Builder. 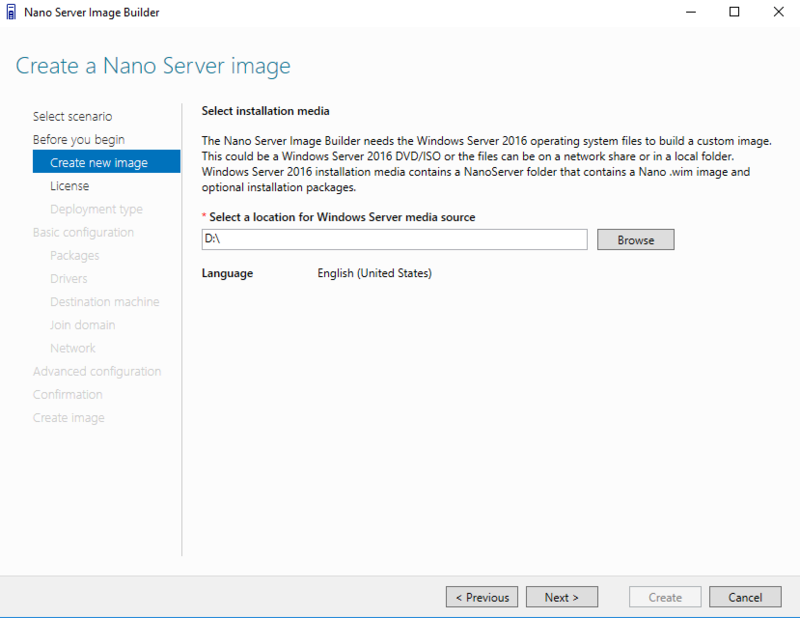 Before you download and install the Nano Server Image Builder you will have to install first the Windows Assessment and Deployment Kit (ADK). 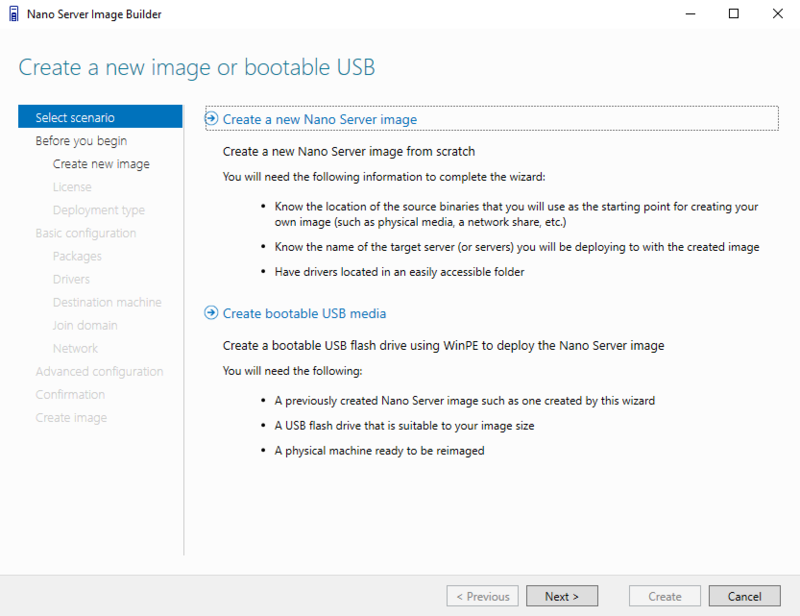 The first step is to choose if you want to create a Nano Server Image or a Bootable USB Media. 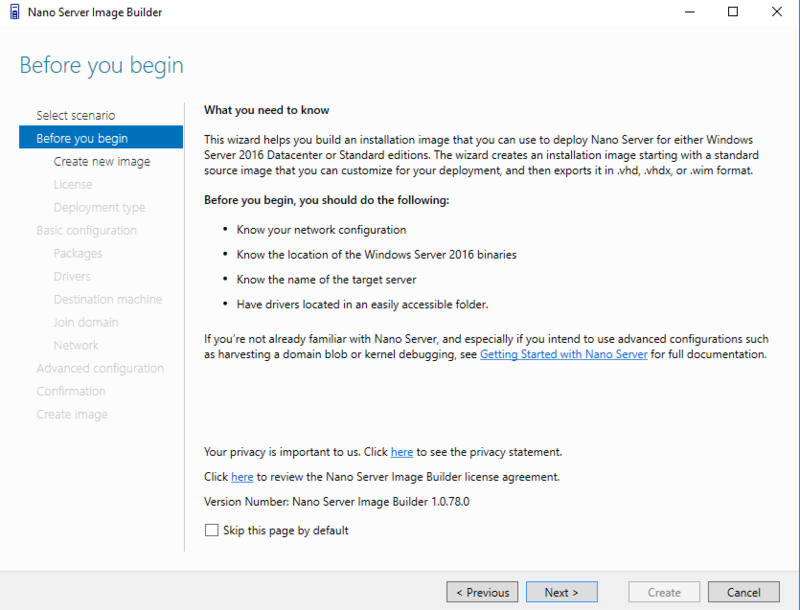 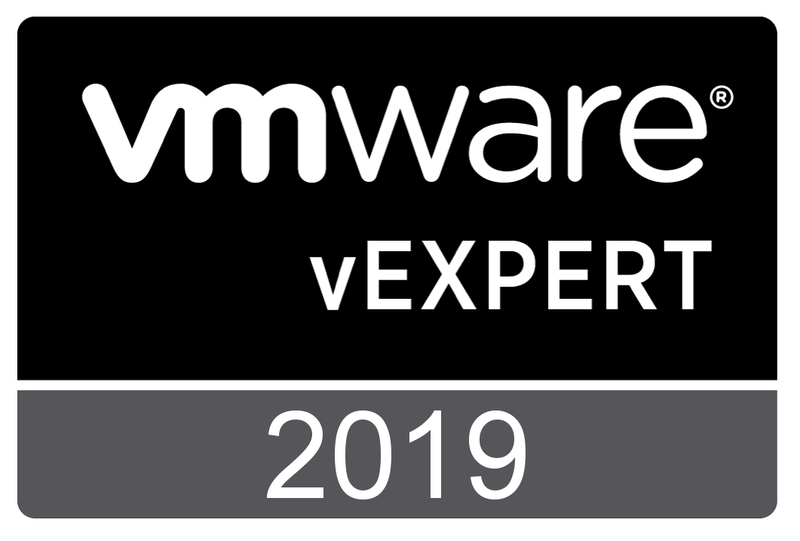 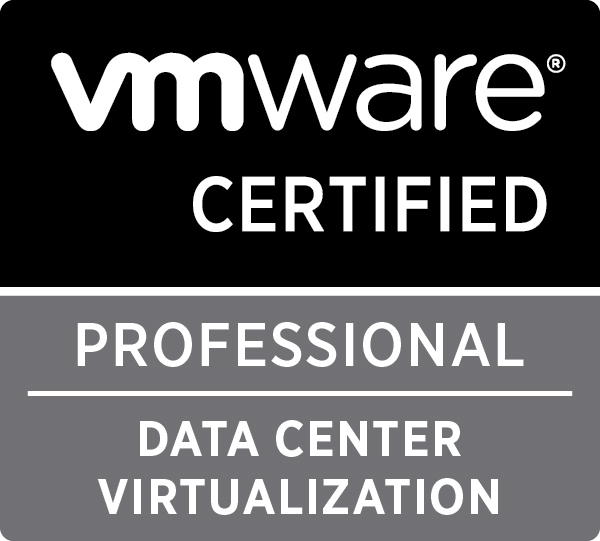 Before you start you should have prepared the Windows Server 2016 ISO and drivers needed. 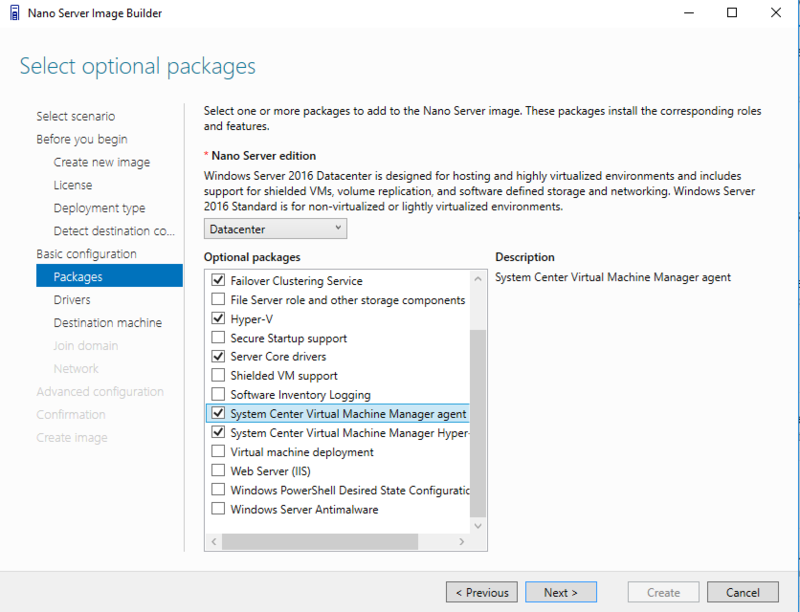 After that you will have to review license terms, choose the deployment type after which you will select optional packages. 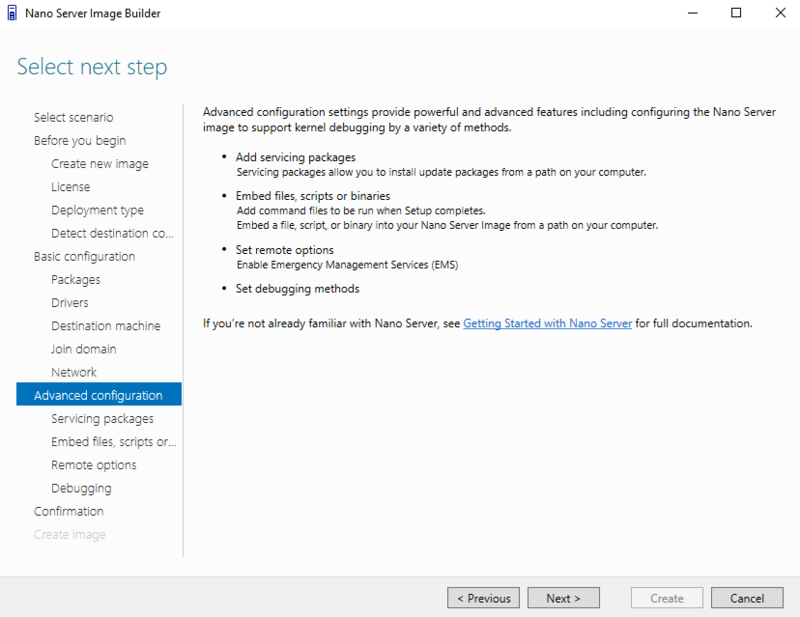 After you configure the packages, add drives, set the machine name,join it to domain and configure network settings you have some advanced configuration options. 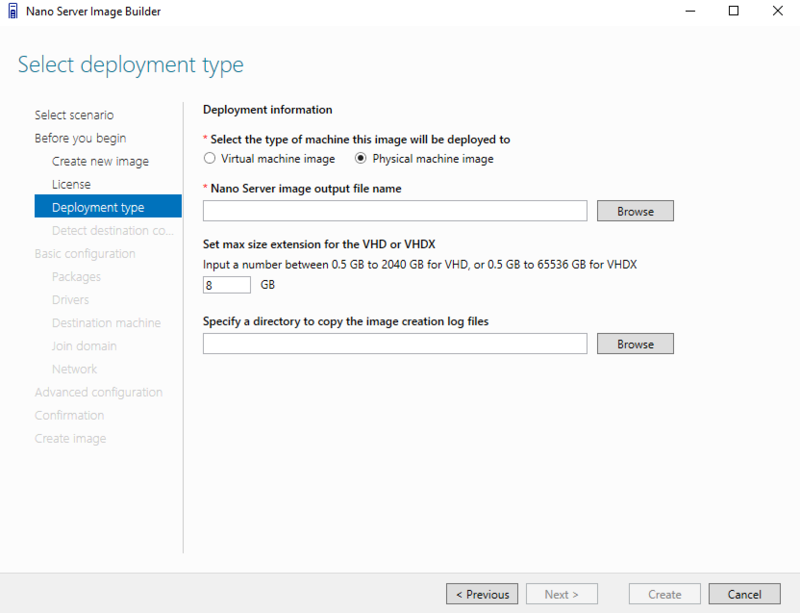 You can copy the Powershell script and use it in the future, but don’t forget to change the name of the machine. 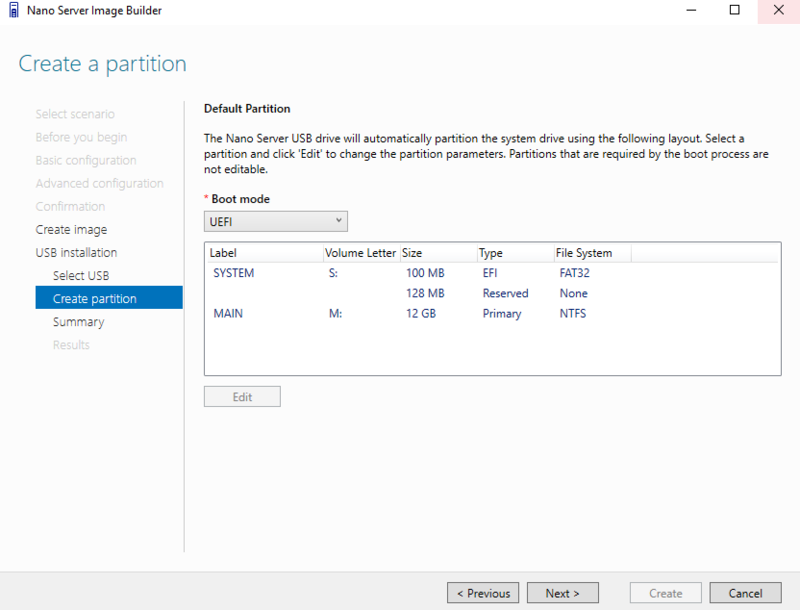 After the bootable USB is ready you can create an ISO.